I have never shied away from running, nor have I actively pursued it. I have occasionally gone for a jog, even ran a leg of an aquathon, but never had goals, never gone much further than two kilometres and never really cared. What made this time any different? The honest answer is that I do not know. The only real reason that I can come up with is the fact that I had only recently retired from the last sport I played at a competitive level and was probably eating more and doing less more often. With my Mum and my partner having completed a host of community runs/walks and challenges, I decided to tag along on a training jog. 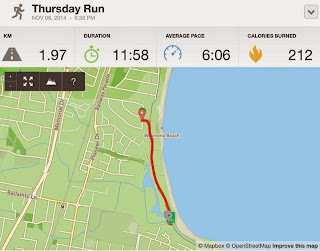 That jog was on the 6th November 2014. According to Runkeeper, it was only the fourth run I had logged for the year. 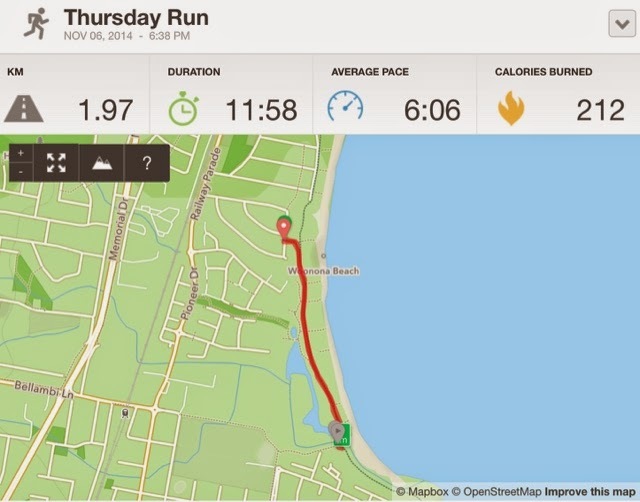 The distance was 1.97km which took me 11:58 to complete at an average pace of 6:06 per kilometre. The usual soreness associated with a first-up run ensued and I assumed that it would probably be a while before I went again. It is hard to say that any sort of seed was planted on that run. In fact it would be another 14 days before I decided to go again which is probably more when running took hold of me.